v19.1: Update your IMDb Ratings / Votes in one go! Today we’ve released the first new features made possible by this new agreement! This new field indicates the number of votes on which the IMDb Rating is based. It is a good indication of 1. how popular the movie is and 2. how trustworthy the rating is. It is also shown in the yellow IMDb box in your movie details panel, right below the logo and rating (for the Flex, QuickSilver and Carbon templates). 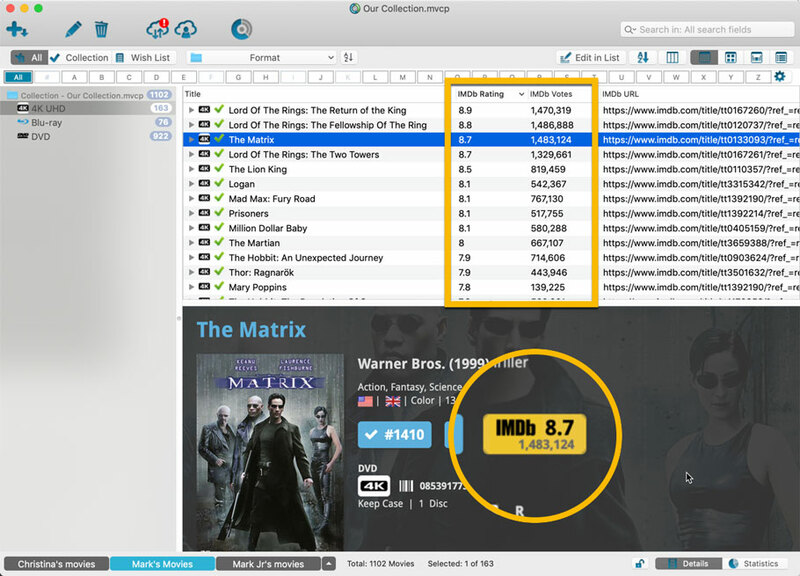 The new IMDb content license gives us daily updates of the IMDb Ratings and Votes, so let’s make use of that daily fresh data now! 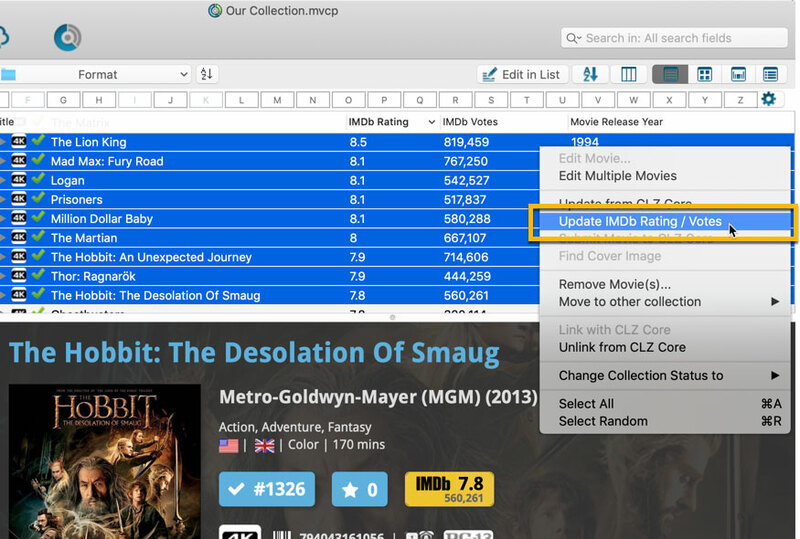 Select some (or all) movies in your list, then right click and choose Update IMDb Ratings / Votes from the menu. This will connect to our Core and retrieve fresh IMDb Ratings and Votes for all selected movies. Don’t worry, this won’t take long. We have implemented a super efficient system that can update ratings/votes in chunks of 100 movies in one go. When done, it will report the number of movies it has updated the Ratings and Votes for. Note: using the “Update IMDb Ratings/Votes” feature requires an active Service Plan.